Film is still widely available and professional photographers love the “gigapixel” resolution of this medium. Film can store far more detail than any digital camera sensor. Fine and coarse details are recorded naturally. Using a premium quality pinhole aperture on medium format film rewards the photographer with images which are truely special. A pinhole lens offers unlimited depth of field with equally sharp details throughout the picture, but due to longer exposure times, moving objects are recorded with more or less motion blur. Embracing motion blur as an element of time is a wonderful technique to expand ones creative horizon. A shorter focal length and a resulting wider angle of view produce a light fall-off towards the edges of an image. 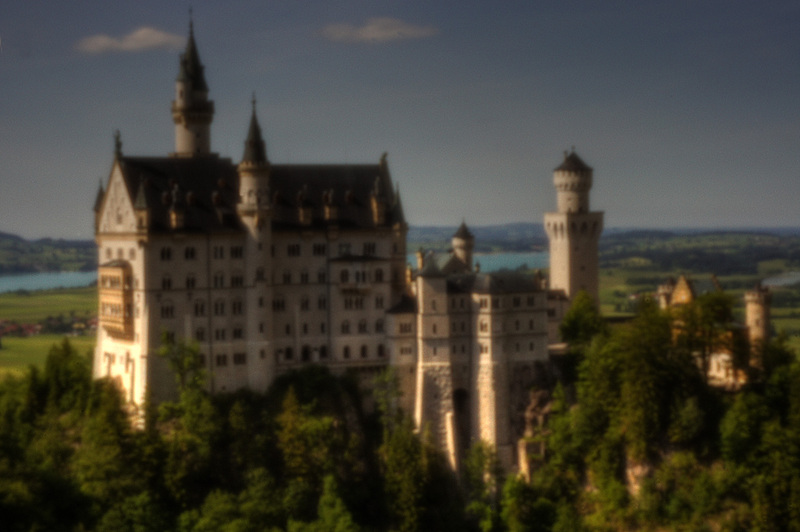 This beautiful vignetting effect is typical for wide-angle pinhole photos. or pre-installed – in lensboards for Linhof, Toyo, Sinar and other large format cameras. 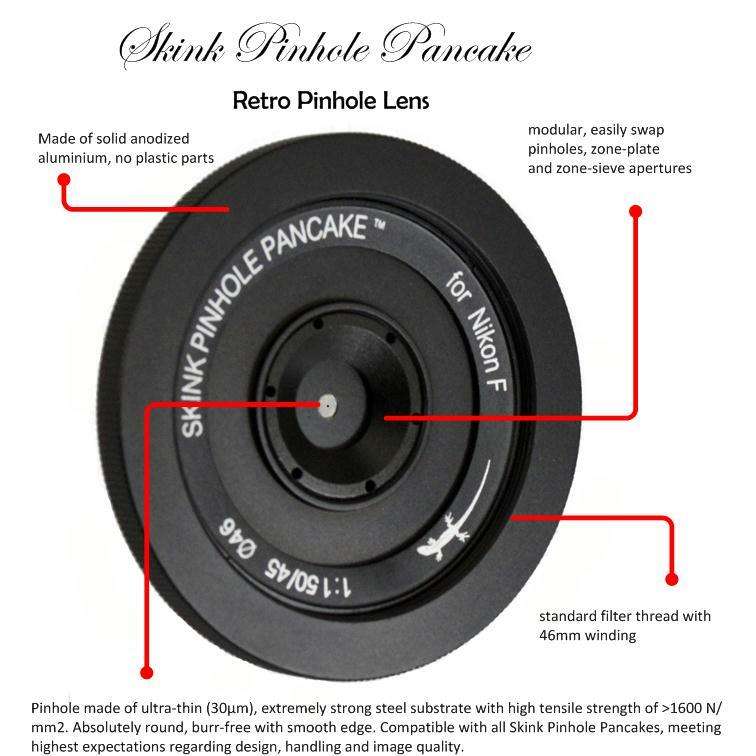 The modular design of Skink Pinhole Pancakes allows the use of pinholes, zone plates or zone sieves (photon lenses) in the same pancake lens.